This .30 Caliber lever action rifle was purchased by Winchester. Like many other designs Winchester purchased, they did not manufacture this one. 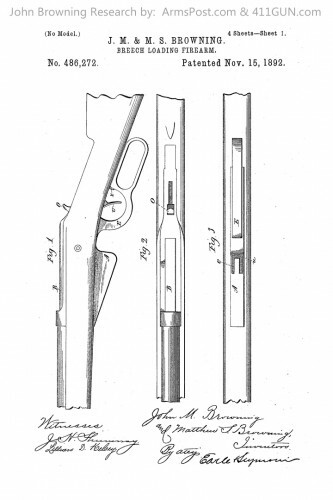 John Moses Browning was granted US Patent 486272 on November 15th, 1892. 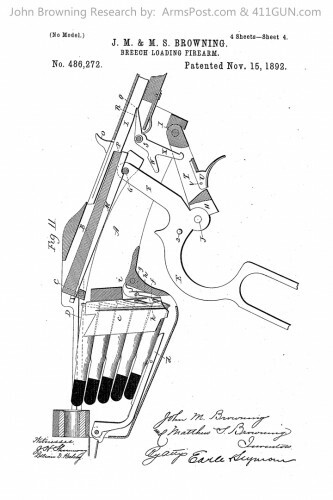 He had applied for this patent on June 6th, 1892. 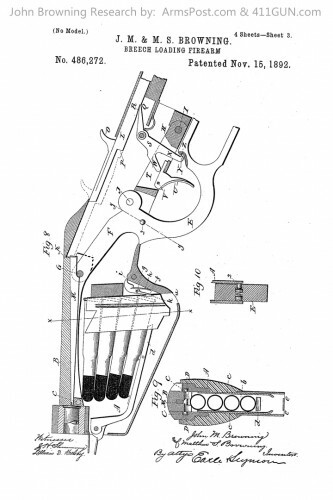 This patent was referenced to a Breech Loading Firearm. 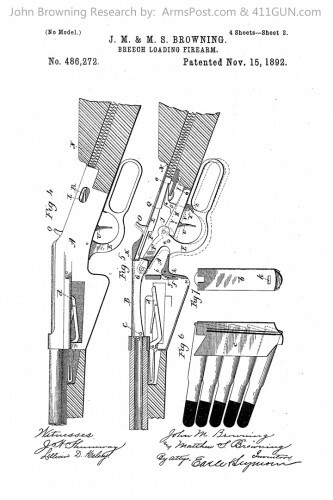 The firearm used a stacked magazine that cycles through the use of a lever action mechanism.